Eloise has six years of teaching experience in further education and community workshops; where she has worked with a range of age groups and abilities. She has been providing tuition to small groups since early 2016 and offers an informal and inclusive learning environment for complete beginner to intermediate levels. Taught in groups of up to four people, the sessions on offer range from short one-off workshops to blocks of classes and you will receive expert guidance throughout. Workshops can be also be repeated and the skills you learn can be carried through into more advanced classes. Whether you are interested in a one-off experience, taking up a new hobby or looking to progress and become a jeweller yourself, the learning process is very flexible and tailored to suit your needs. 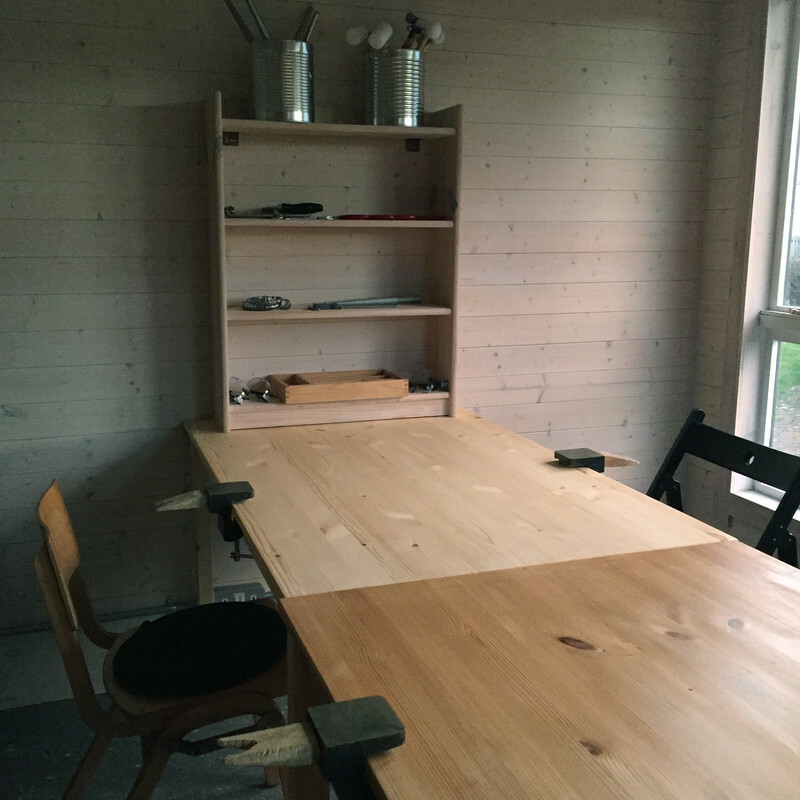 Prices start at £40 for a 3 hour workshop and include the use of tools and materials. Private sessions are also available for 1-2 people. This option is ideal for those looking for one-to-one tuition or an experience to share with a friend, partner or family member. You can even take a special Make a Ring workshop to make your own wedding bands, choosing from one of the bespoke wedding ring workshop packages on offer. The precious metal used is certified, traceable and 100% recycled sterling silver. Ethical white or yellow gold is also available on request, please feel free to get in touch for pricing options. View all classes on offer HERE. You can also add your details to the MAILING LIST to receive the occasional update about upcoming classes. 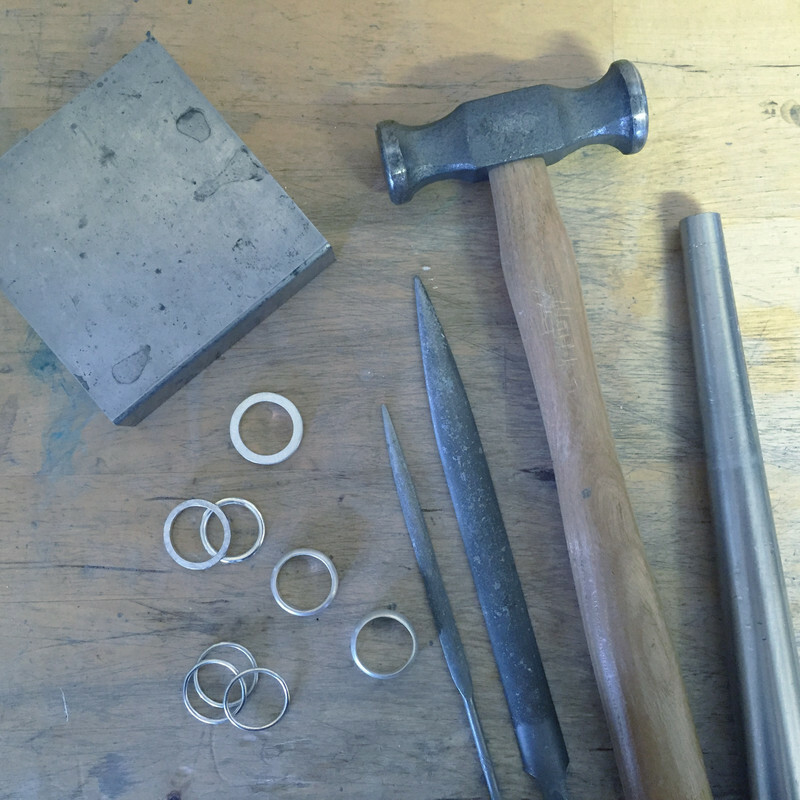 Share a very special learning experience and make your own wedding rings during a private wedding ring workshop. You will receive expert tuition and guidance throughout, ensuring your ring is formed and finished to a high standard. You can choose to make your own ring or you can make a ring for one another; making the exchange of rings on your big day even more meaningful. Either way, your rings will have a lovely story behind them - making these future heirlooms all the more sentimental! "I enjoyed being able to make something from scratch, finish it and take it home the same day to show off to my friends!" "Eloise was very patient and explained everything at a perfect pace for novices. It was very rewarding to make something and to feel proud to wear it and say I made it!" "What I enjoyed most about the class was the friendly chat, the informal atmosphere and feeling very proud that I actually made something very pretty and professional looking!" "I have recommended the classes to my friends as I found it was a really relaxing way to spend some time to yourself while learning new techniques and making something beautiful"
"A wonderful experience, taken at a good pace."